Sarah Blankenship is a 2018 graduate of Asbury University. She started in the summer of 2014 as a Resident Help Desk Assistant within the I.T. Services department and accepted the full time position as I.T. Services Support Specialist in May 2018. 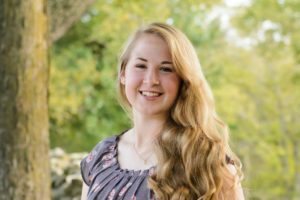 Sarah lives in Wilmore with a fellow Asbury Alumna and they enjoy watching musicals and drinking tea. Sarah is also an avid photographer and traveler, her favorite places she has visited so far being Edinburgh, Scotland and Fairbanks, Alaska.